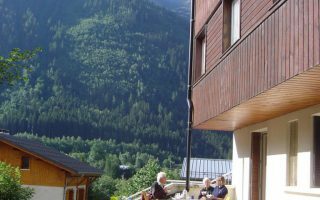 Description: The accommodation comprises two bedrooms, one double bed and two singles sleeping a maximum of four. The lounge/diner with TV, DVD and digital freeview is furnished to a high standard with your comfort in mind and with French doors opening on to the patio and small garden where you can enjoy the peace and quiet. The kitchen is fully equipped and fitted with electric cooker, microwave, fridge and washer/dryer. The bathroom has both bath and shower. Electricity is by £1.00 coin meter, except for the night storage heaters and hot water cylinder which is free of charge. Linen is provided, but please bring your own towels. The cottage is non-smoking. There are a few steps leading up to the front door and the French doors at the rear of the cottage. Outside in the garden there is a rotary dryer, garden furniture, BBQ. It has its own private off road parking and garden. A footpath leads from the door into the woods and from there it is possible to access the South West Coast Path. A perfect retreat whatever the time of the year. The site is accessed down a long narrow track which can be rough in places. Description: Prince Croft Annex is a one bedroom self contained Annex attached to the owners bungalow at Mount Hawke Holiday Bungalows. 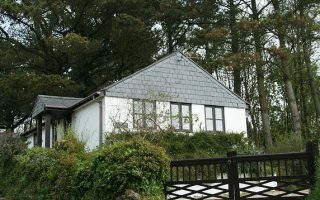 The annex consists of an entrance porch leading to the living room with a TV and dinning table, a double bedroom, fully equipped kitchen and shower/toilet. There is a patio area and small lawn to the front of the annex. Duvets, blankets and pillows are provided. Please bring duvet covers, sheets, pillowcases, towels. Linen is available for hire on request. Cots and high chairs are available on request at no extra charge. 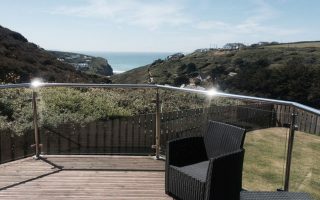 Description: Driftwood is a spacious two bedroom apartment in Porthtowan, Cornwall. It has Sea Views, a shared garden and private parking. The master bedroom and living room have sea views. Porthtowan has a blue flag beach, is great for surfing and has The Blue Bar. Driftwood is located in a quiet cul de sac and is on the first floor. The apartment is on a split level with the master upstairs. The kitchen and living room is open plan. The second bedroom contains bunk beds. Sleeps 4. 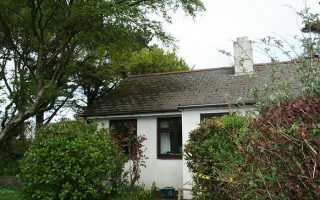 Description: Sea Otter is a contemporary 3 bedroom home in the seaside village of Porthtowan. A footpath leads from the property to the beach and local amenities. Sea Otter comprises of a large, bright lounge with fantastic sea, cliff and countryside views, an open plan kitchen dining room. The master bedroom with en-suit has stunning sea views from the julliet balcony, the second bedroom, also with sea views, contains a double bed and the third, bunk beds, making this an ideal family home. To the rear of the property is a sheltered patio and BBQ area and to the front an enclosed garden with a raised decked area with sea views towards St. Ives. Porthtowan is a coastal village on the North Coast of Cornwall. It lies half way between Newquay and St. Ives making it an ideal location to visit the Cornish Attractions. The beach is a superb surfing beach for all abilities. 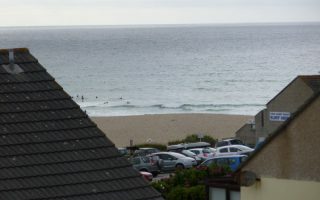 There are surf schools and surf hire in the village. The beach is lifeguarded from Easter to October. There are fantastic views from the cliffs of St. Ives bay to St. Agnes headland. Porthtowan lies on the National Trust Coast Path with spectacular walks to Chapel Porth and Portreath. Description: The apartment has versatile sleeping for 6: double bedroom with own sink, bedroom with double bed and over-bunk, and two double sofa beds in living room, with TV, DVD and CD players. There is bathroom, shower room and a well equipped kitchen. Linen available on request at €25 per bed.